Mario the carpenter, and his brother, Luigi, are at it again! The time they're punching their way through a houseful of crawling pests. Help them punch the pests off floors and into a puddle of water below. 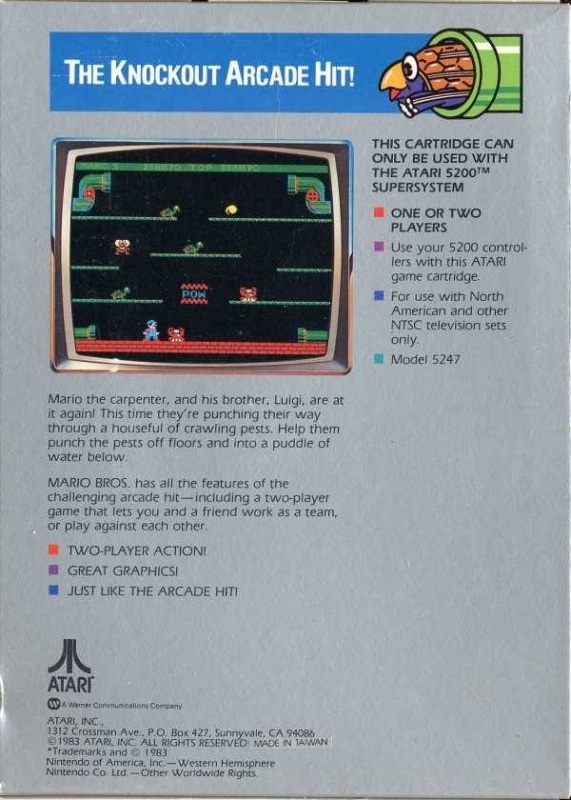 MARIO BROS. has all the features of the challenging arcade hit--including a two-player game that lets you and a friend work as a team, or play against each other.